LoraSaysSo! 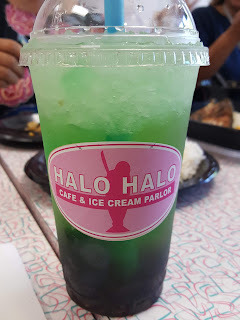 : Halo Halo Cafe-Filipino Food and More! 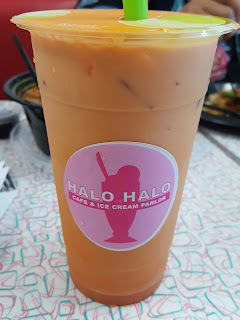 Halo Halo Cafe-Filipino Food and More! Finally! 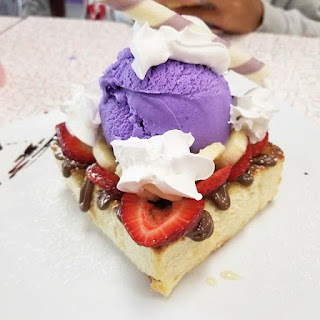 A place close to home that serves all of our favorite Filipino desserts and more! Have you checked out Halo Halo Cafe in East Chula Vista? 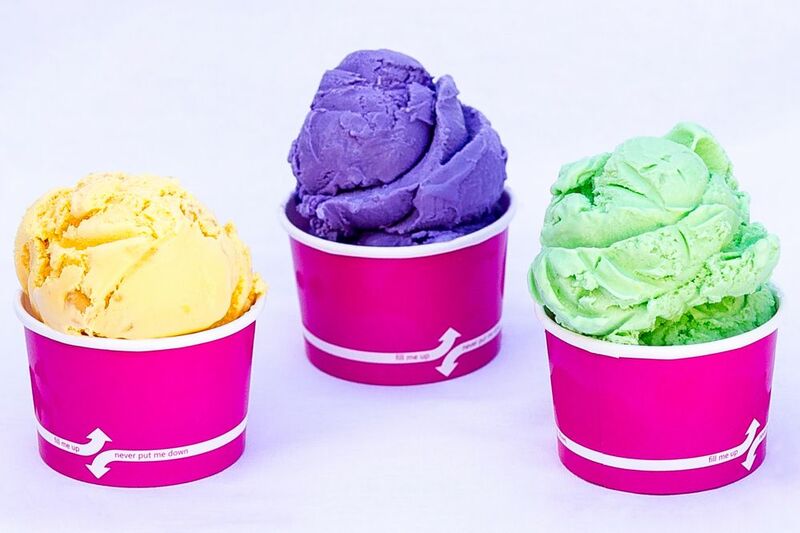 If not, do yourself a favor, take your family, call your bestie and meet up for some IG worthy sweet treats! 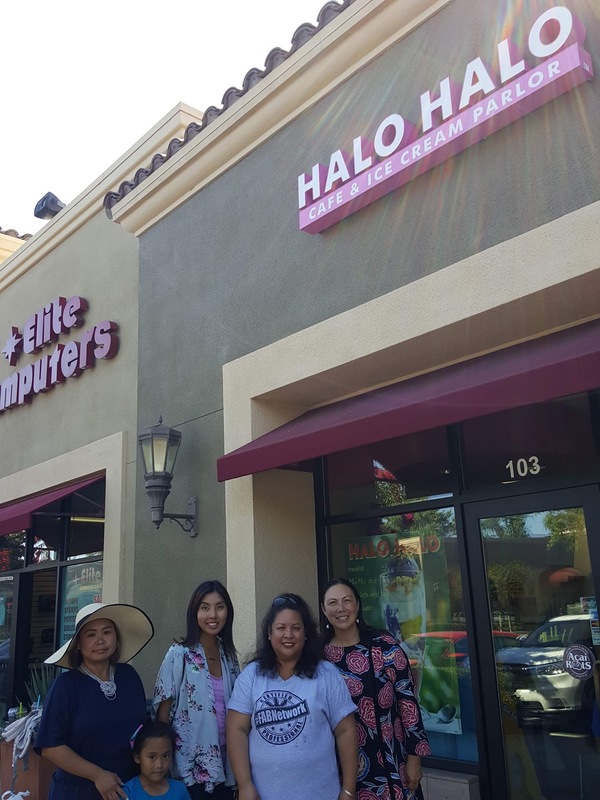 New owners Cherry Reyes-Magpusao and her husband, Lee (and also Cherry's sister, Jane and her husband Ron) took over the cafe this past year from it's previous owner. They have added so much value to the service and menu, there is almost always a line out the door! It is a cozy place so I wouldn't be surprised if they added some outdoor seating to accommodate the crowds! 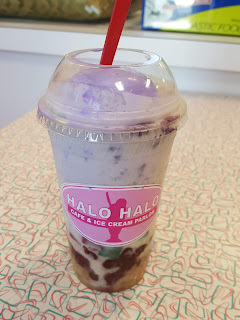 Let's explore some of the menu items, starting with the namesake of the eatery, the halo-halo! 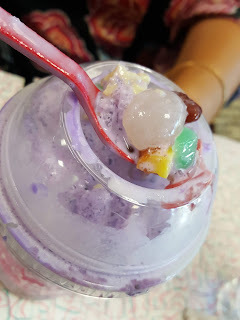 This is a multi-layered rainbow of cut up fruits, beans, jello, crushed ice, ice cream and condensed milk! There is really no limit to what you want to top your halo halo with. It is one of those items that is too pretty to eat, but halo-halo means to "mix-mix" so you mix all of the goodness up and start enjoying every slurp! Halo Halo Cafe also serves other ice cream-topped desserts like this Bubble Waffle Cone! 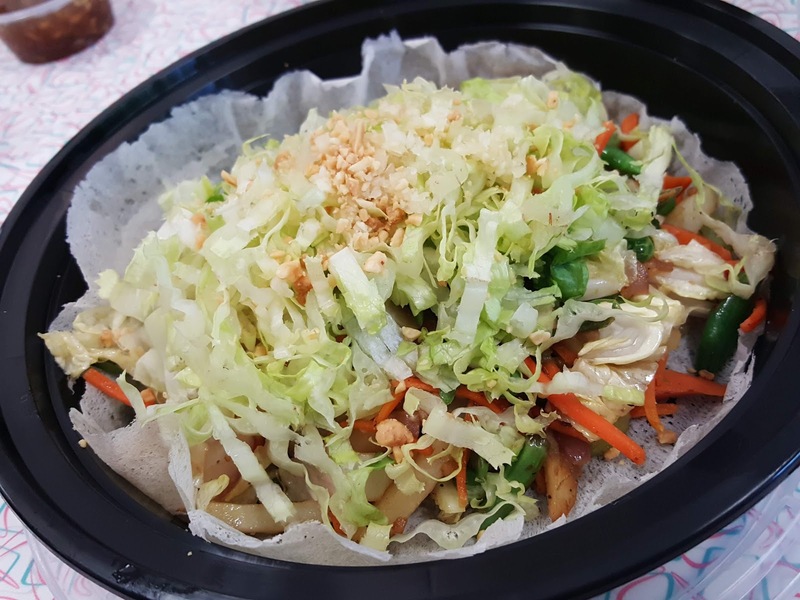 The cone's texture is not your typical crispy cone, it is a little chewy and tastes like a thin pancake. 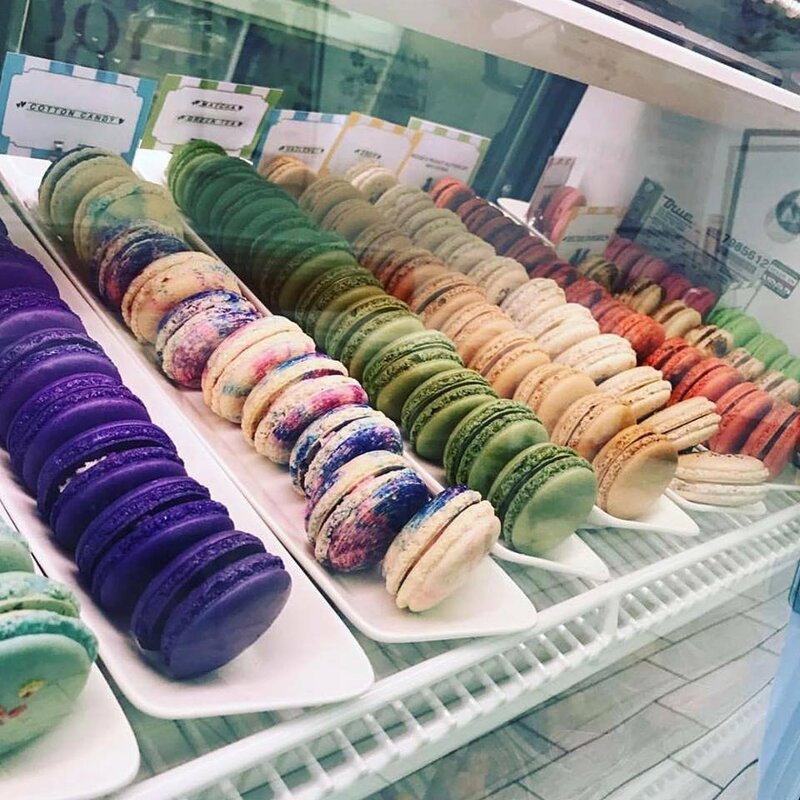 (I thought it would be cool if the "bubbles" were filled with flavors that would pop in your mouth, but that's really next-level desserts huh!) This was very yummy with the ube ice cream and coconut shavings. I love the attention to detail with a rolled wafer to add some crunch. 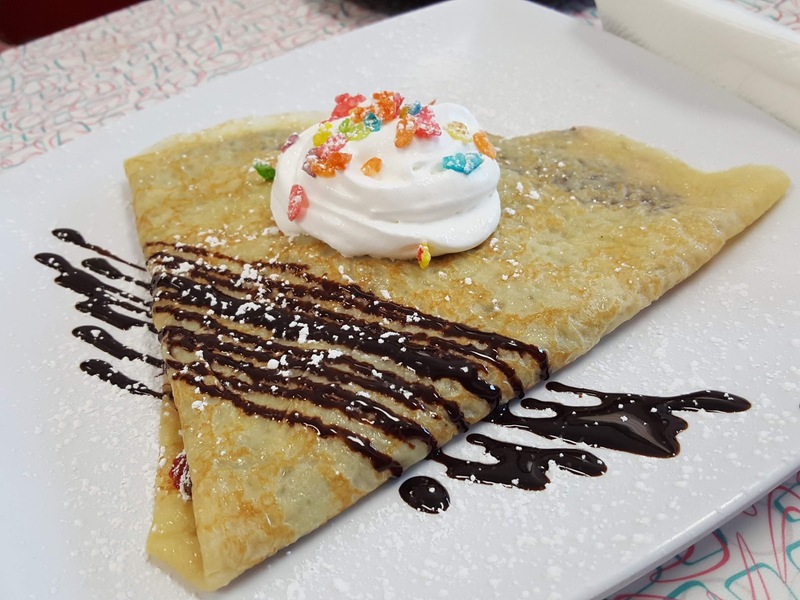 Crepes are also served here, with your choice of fillings and syrup! 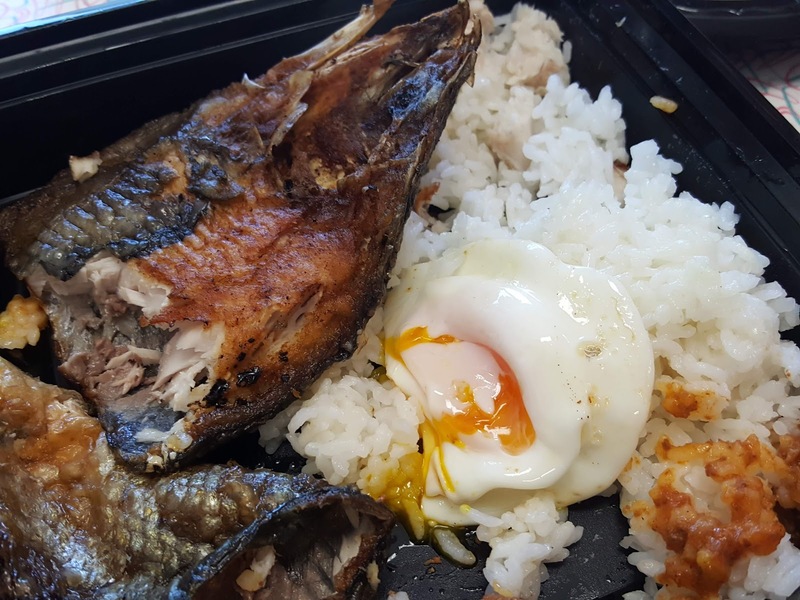 Whoever does the training here for plating sure does an excellent job! Other desserts include acai bowls, Magnolia brand ice cream scoops, brick toast, macarons, and even better-macaron ice cream sandwiches (Brick brand)! All these sweets need some drinks to wash them down! 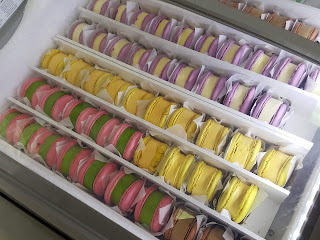 Look at all that awaits you in the display case! There's is quite a selection! 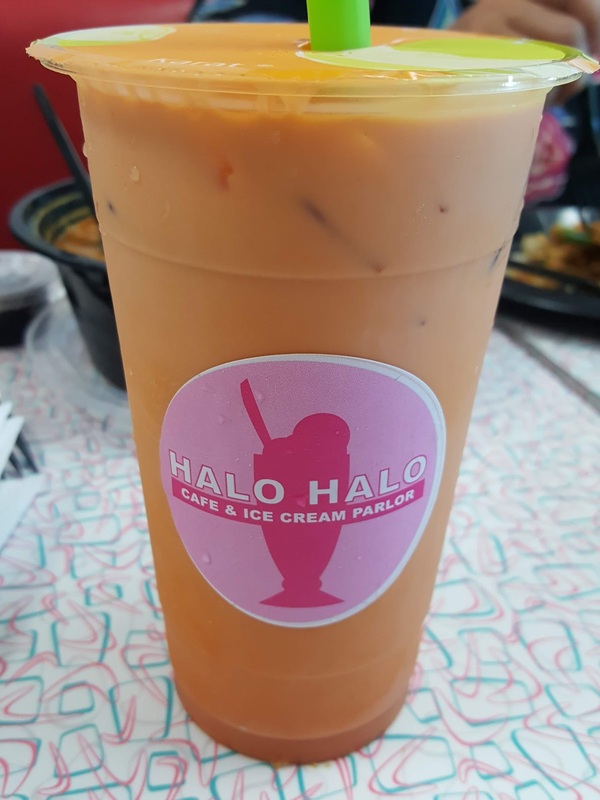 They have all sorts of smoothies, blasts, slushes, thai teas, milk teas, with or without boba (tapioca pearls) and other specialty drinks! Are you salivating by now? 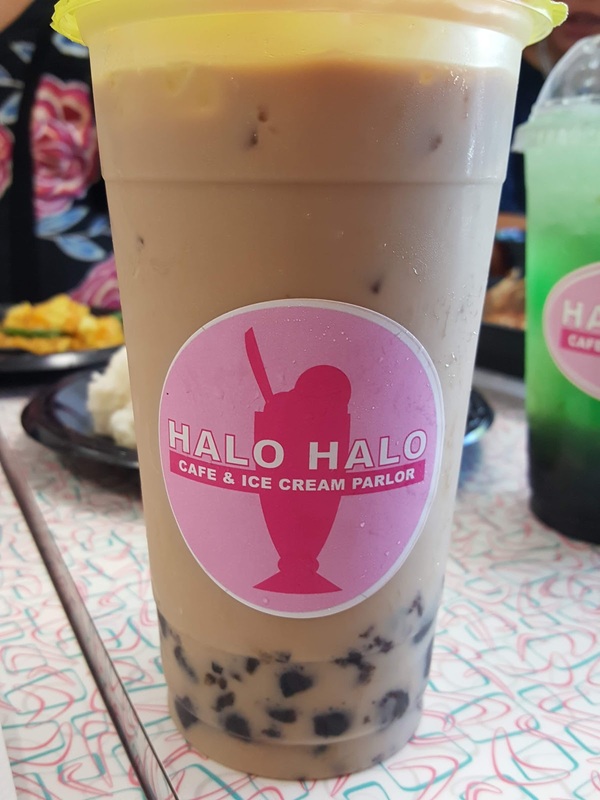 Hold on, there's more...you thought you would come here for some dessert, BUT they also serve some really good Filipino food too! Say what? I know! As mentioned in the video, one of their most popular items is the Special Pancit Palabok! 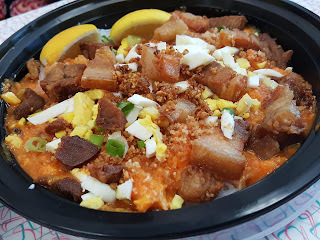 Shrimp-based sauce served over rice noodles topped with green onions, eggs and crispy bits of lechon (roasted pig!) It's pretty special alright! 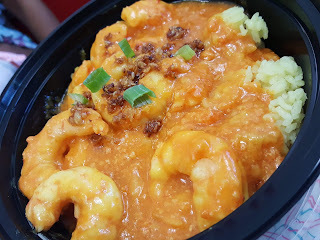 Do you like seafood? The Garlic Shrimp was great and the bangus is always a good choice! Kare-Kare, an oxtail stew, is a favorite of mine and this one was superb with the peanut sauce, tender oxtail, eggplant, green beans and a side of bagoong (fried shrimp paste) to add just a teeny weeny bit of salty tanginess that is critical to the Kare Kare experience. To be honest, I was looking for the tripe, though, hahaha! 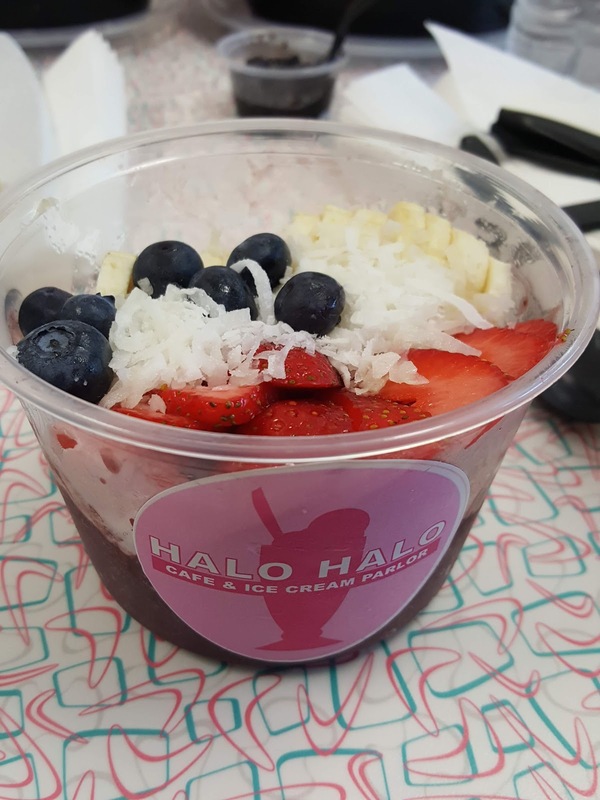 Feeling like you just want something light? Then the fresh vegetable lumpia is for you! A mix of veggies served in a light crepe lumpia wrapper also served with a slightly sweet peanut sauce. 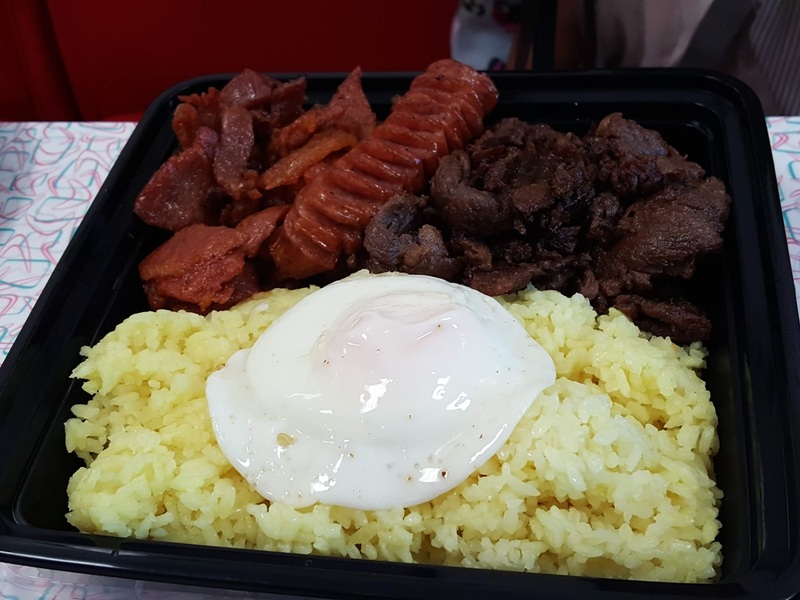 All of the food is served in microwave safe take home containers ready for your leftovers because the portions are so generous! These dishes are definitely family style servings! I appreciate that Halo Halo Cafe is enviro-conscious and leaves you with something that you can use over and over again, the container! 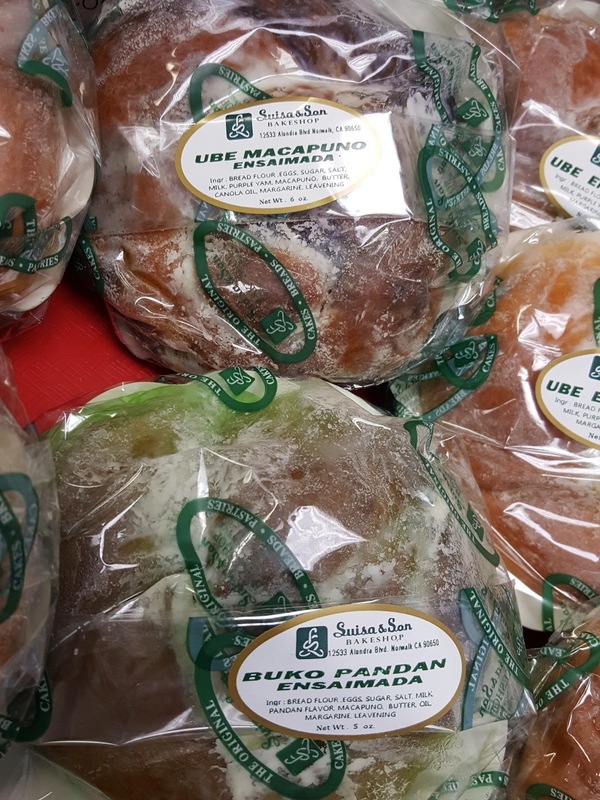 There are also some other baked goods, Filipino rice desserts and even pecan tarts available for purchase. The supply changes daily. I had the chance to tour the kitchen and everyone I was introduced to was a member of the family. 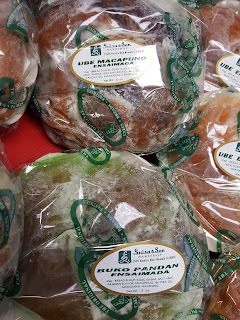 Some had literally arrived from the Philippines a couple of months ago. 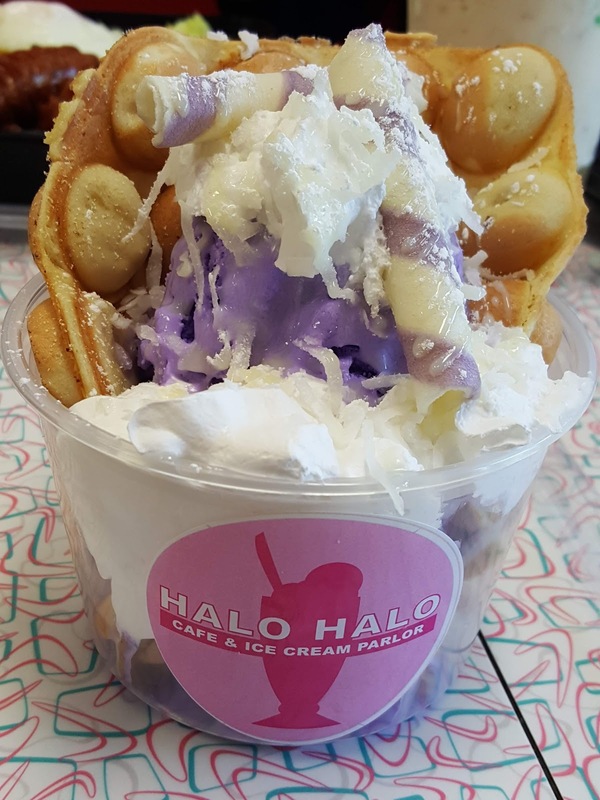 You cannot get more authentic Filipino food than from the hands that are making it here at Halo Halo Cafe! 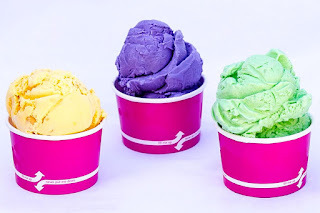 They also cater too! 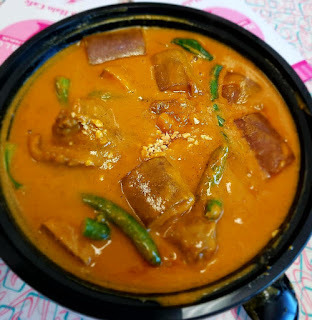 Leave the cooking to them for your next gathering, fiesta or office party! 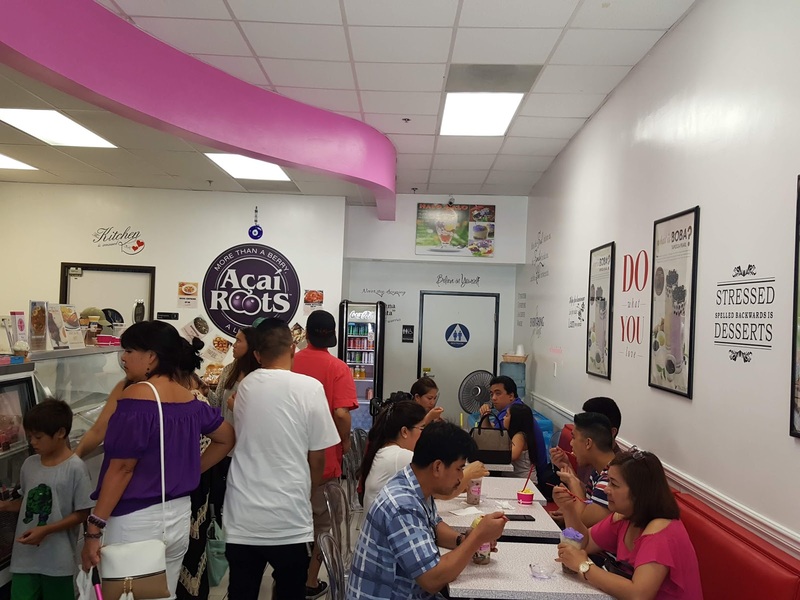 Come check out the latest Filipino food eatery in Chula Vista and see why there is always a crowd! Say hi to Lee and Cherry too! 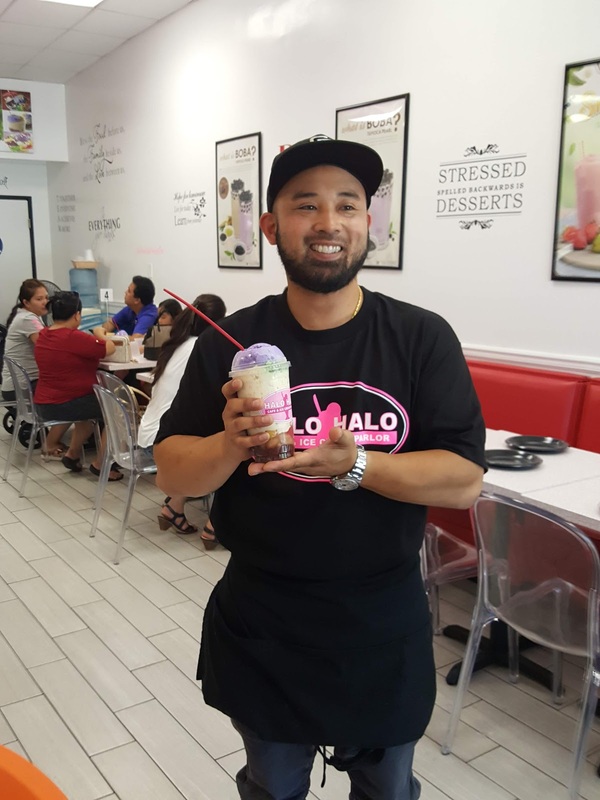 Halo Halo Cafe is located at 2326 Proctor Valley Road, Suite 108 in East Chula Vista. Hours are 10:00 am - 9:00 pm seven days a week! Disclosure: I was treated to a menu tasting as a member of San Diego Filipino Blogger Network.